March 28, 2016 - American Airlines copilot, John McGuire, 50, was arrested on Saturday for allegedly being intoxicated, he is now been charged with operating an aircraft while under the influence of alcohol. According to Maria Miller, Michigan's Wayne County Assistant Prosecuting Attorney, McGuire was scheduled to fly American Airlines Flight 736 from Detroit to Philadelphia at 7 AM. When McGuire arrived at the airport, TSA employees reported to the airport authority that he smelled of alcohol and appeared to be drunk. McGuire went to the cockpit to begin his prefight checks. 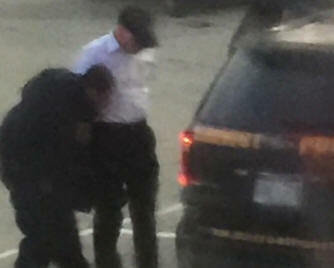 At about 6:30 AM, McGuire was taken into custody by the Wayne County Airport Authority. McGuire was then given a breathalyzer test by the airport authority, McGuire failed the test. Romulus City Police Department was notified and officers were dispatched. McGuire was then given a second breathalyzer test by the Romulus Police Department in which he also failed. McGuire was arrested for drinking before his scheduled flight. But that charge has been updated to operating an aircraft while under the influence of alcohol. Flight 736 was cancelled.